Imagine playing 50 times in the Bundesliga, scoring and assisting at will and all at the age of 18. For Bayer Leverkusen midfielder Kai Havertz, even that doesn’t appear to be much out of the ordinary. bundesliga.com casts an eye over arguably the most gifted of the league's raft of young talent who has had a season to remember. ...the youngest player in Bundesliga history to reach 50 appearances, which he achieved aged just 18 years and 307 days old against Eintracht Frankfurt on Matchday 30. Havertz's predecessors who achieved landmark appearance figures as youngsters - the likes of Julian Draxler, Max Meyer, Timo Werner and team-mate Julian Brandt - are all stars in their own right, but the Leverkusen man might just be the most talented of that esteemed lot. A wizard with the ball at either foot, Havertz is simply devastating on the counter-attack, as the Borussia Mönchengladbach defence discovered on Matchday 9. Havertz claimed a hat-trick of assists in a 5-1 win for Bayer, and then notched another brace of assists in that memorable match against Frankfurt. 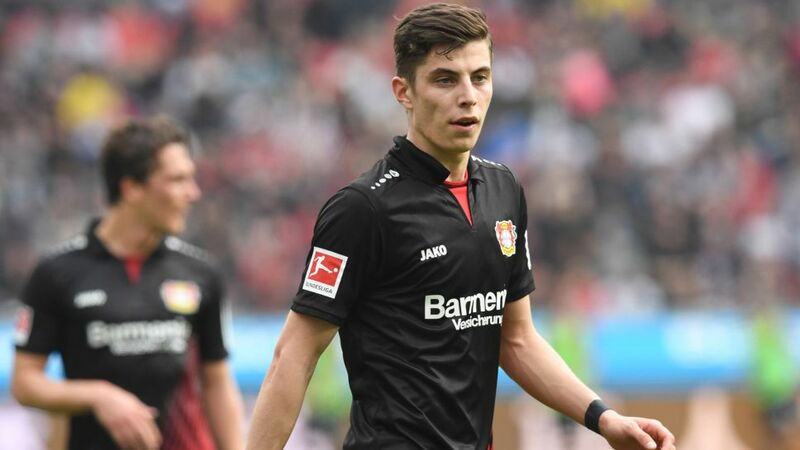 Technically gifted enough to dictate the flow of his team’s play and tactically aware enough to play in a variety of positions and roles, Havertz is arguably his side’s most valuable player. Combined with his application and work ethic - he missed matches at the end of 2016/17 to sit his high school exams – there is no telling how good he can become. "I’ve never seen such a complete player at his age," said club captain Lars Bender, while sporting director Rudi Völler notes his "exceptional abilities", adding "he is already blessed with a footballing maturity that sets him apart from other players his age". As for Havertz himself, he admits to being surprised at the rate of his development - "Quite a lot has happened to me that you start to think and ask yourself, 'Is this really happening?'" – but he simply takes it all in his stride, just like on the pitch. Though he has performed consistently well, Havertz could potentially add more goals to his game and perhaps look to take more games by the scruff of his neck, as against Gladbach and Frankfurt. And having scored prolifically for Germany’s U19s (seven goals in eight), he should now target representing the U21s and perhaps, even as early as next season, the senior national side.